More like a hotel than a hostel. Staff was AMAZING. Very clean. The place of the hostel is perfect, close to everything and during my stay I didn't use the metro or any other public transportation. The staff is very friendly and they answered all my questions even before my arrival when I sent to ask about some info they were answering quickly. I highly recommend the hostel for anybody visiting Madrid. Stayed for 1 night. Place was great , easy to find. Stuff was helpful and place maintained. Great room with ensuite and, very importantly for us, black out blinds. 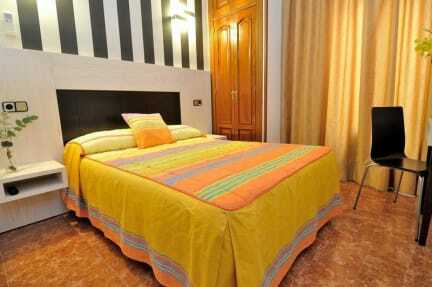 Nice and quiet room in a nice part of town, only minutes from Plazas Major and Sol. Would definitely return. Very nice. The room we had (double private) was right near the front door so a bit loud but besides that a really great place to stay if you are looking for an affordable spot in a good location. Nice people, nice place. Near Metro. Would recommend. The room was great and bathroom was great, all was very clean, the beds were pretty uncomfortable though, its kind of hard to find but then its in an amazing spot. Very clean & comfortable, fantastic location right near sol. 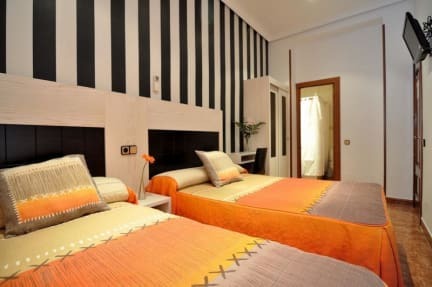 But it is a guest house, no common area to mingle with other travellers. But if thats not a problem I definitely recommend. It is very nice place with great location (5 min walk from puerta del sol). We stayed in a double private ensuite room. It was very clean. The bathroom was clean and big and the shower had hot water and good pressure. The walls were pretty thin , we could hear the person in the neighboring room coughing. I didn't see any common social space. The workers were fine, but didn't interact much with us as in other hostels. 15 minute walk to Atocha.